The vibrant color and perky personality of Gerbera daisies makes them an ideal choice for any special occasion – from black tie formal to garden party casual. 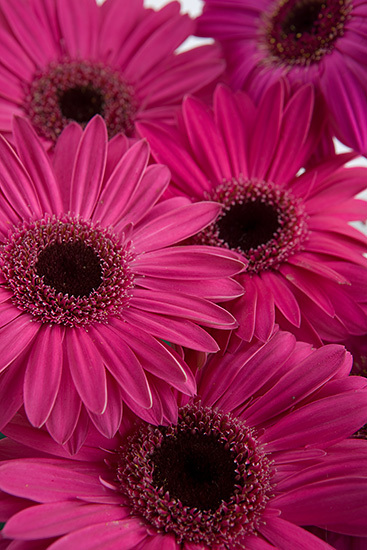 These Gerberas in dark pink will add a splash of sweet color to any space, and they look fantastic as single stems or when mixed with other colors or flower varieties. Your daisies are picked at just the right moment, custom-packaged, and air-shipped that same day to arrive in all their glory direct from the grower, ensuring you flowers that are the most exquisite and longest lasting you’ll find anywhere.